Aluminum can and koozie. Illustration of an aluminum can, can with koozie and koozie without the can. great for mock ups. 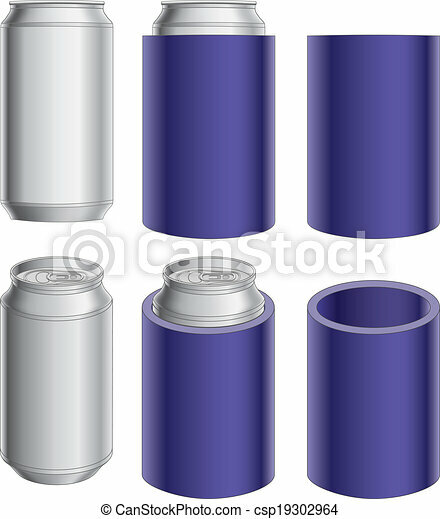 Illustration of an aluminum can, can with koozie and koozie without the can. Great for mock ups.